Furnish your kitchen or bar area in contemporary style with the Arc Counter Chair in Retro Taupe. 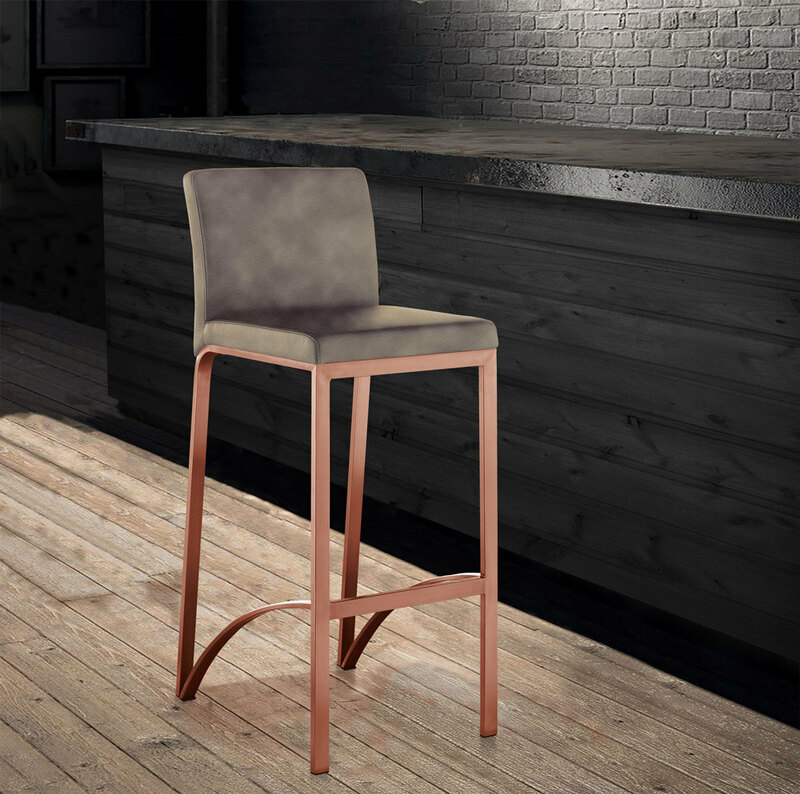 With the fashionable rose gold stainless steal frame and faux suede seat, this counter chair is the definition of fashion. The combination of straight lines and curves make the style distinctive yet simple. The stainless steel frame provides a sturdy base, while the plush seat and footrest ensure maximum comfort. Available in Retro Taupe and Retro Black.